I have a background that includes working with clients from around the world. I have studied the Tarot and mediumship from truly gifted masters. I also have studied the art of Reiki to assist in the healing of all situations. This enables me to not only connect with you, but also bring clarity to your path. Another area of expertise that I have acquired is past life regression so that I am able to help with block of your past lives to bring you aid in this life. I use my gifts to connect with the energy of the person I am talking to, as well as their situation to provide clear answers to give you understanding of you questions and the dynamics surrounding your life. I am an intuitive psychic, who uses my gifts of clairvoyance and trained medium skills, as well as the tarot to help you as you go through your life's journey. I am non-judgmental and give you truth with in each of the situation of your life. It is my life's works to help you find solutions and resolution through your circumstances. I am here to help you understand not only the journey, but the way to guide you towards a higher spiritual awareness as you walk towards your life�s destiny. I'm an extremely sensitive Psychic Intuitive, trained in mediumship, Spiritual Counselor and Life-path Coach with over 15 years experience. Specializing in several areas, my training is heavily focused on relationship issues; such as soul mate compatibility. I have a formal education and an extensive professional background in regard to career objectives, financial dilemmas and strategic economic resolutions. I am extremely INTUITIVE and non-judgmental. My experience is HANDS ON relating to all aspects of relationships, career, and finance. In our CURRENT challenging times, you might have many questions why situations are difficult and unmanageable. However, with my psychic gifts I am here to help you through any problems you have to build a better life for yourself and also to see that you do not fall into problems that are unforeseen to you with in your path. My yield to Karma serves well, as all do benefit from my sessions. I�m here to offer sound advice that will be inspirational, as well as, life changing. I welcome any and all concerns and look forward to your call. Raine S Love has been a user of Keen since 2009. 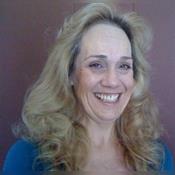 Getting Spiritual Readings advice from Raine S Love through www.keen.com is safe, secure and confidential.